Of all the development challenges the world has faced over the past 50 years, bringing prosperity to the poorest countries has proven the most stubborn. In 1971 the United Nations established the category of Least Developed Country (LDC) in order to focus special attention and support on its poorest and most vulnerable member states. 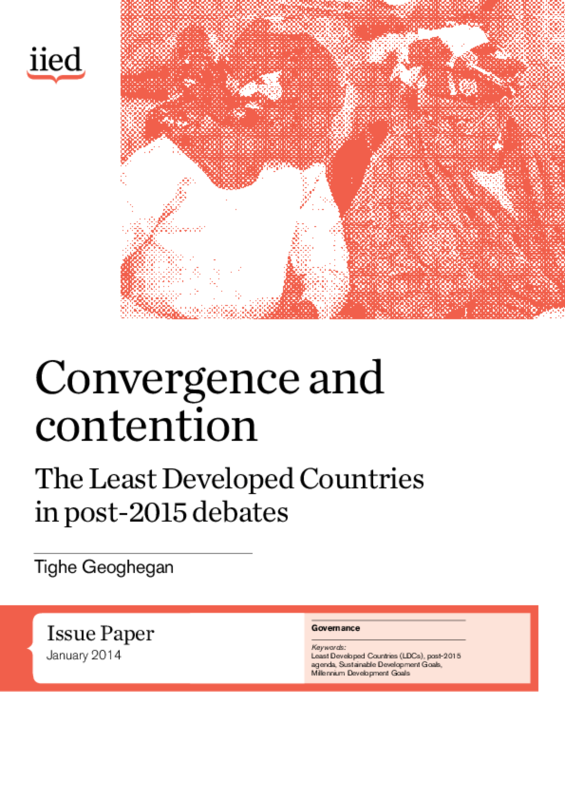 Since then, only three countries designated as LDCs have moved out of the category, which now includes 48 nations. The UN Millennium Declaration and Millennium Development Goals (MDGs) called for the international community to give priority to LDCs. Although progress has varied greatly, LDCs as a group have lagged far behind the rest of the developing world in achieving the MDGs. LDCs also are especially vulnerable to economic and political shocks and environmental threats such as climate change, which compound the challenges they face. LDCs can offer important lessons on past development failures and successes, and testing grounds for new approaches. As the international community develops a new global development framework to replace the MDGs when they expire in 2015, it would do well to listen to what LDC development experts and observers are saying. In many ways, the success of this new post-2015 agenda may be judged by how effectively it contributes to development progress in this group of countries. As an input to post-2015 debates, this paper scans a wide range of perspectives on how the post-2015 agenda can most effectively support the LDCs' development priorities. It identifies many areas of agreement on the challenges that LDCs face. It also finds a number of areas of disagreement, particularly on the strategies and measures needed for LDCs to achieve sustainable, equitable social and economic progress. Copyright 2014 International Institute for Environment and Development (IIED).